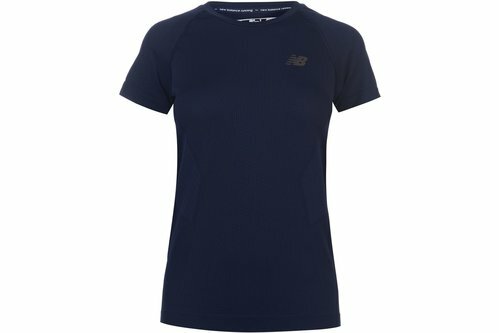 Stay comfortable whilst running with this New Balance Precision Running T Shirt. Made with moisture wicking fabric, it&apos;s quick drying and has meshing panelling to make it more breathable and help you stay cool. It&apos;s an athletic fit and has reflective strips as well as New Balance branding.